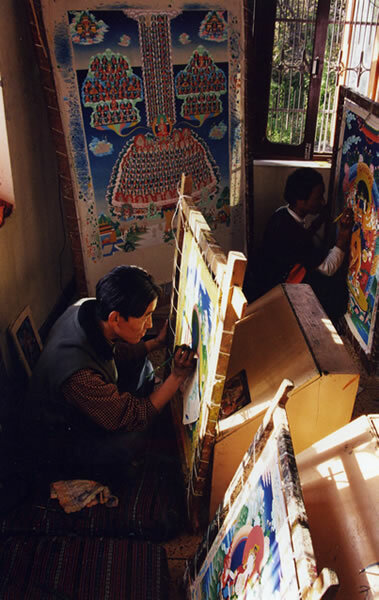 Thangka painting is a uniquely Himalayan Art that attained classical levels in the Tibetan tradition between the 7th and 12th centuries. 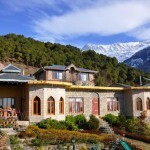 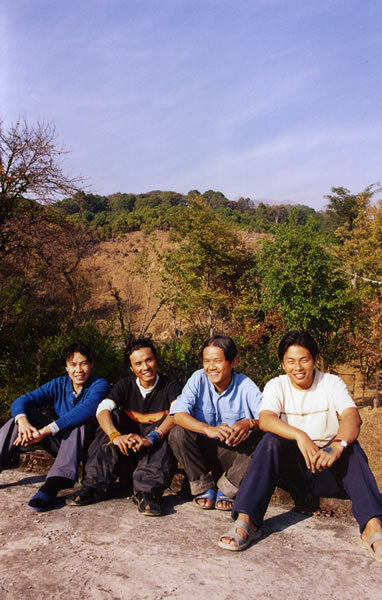 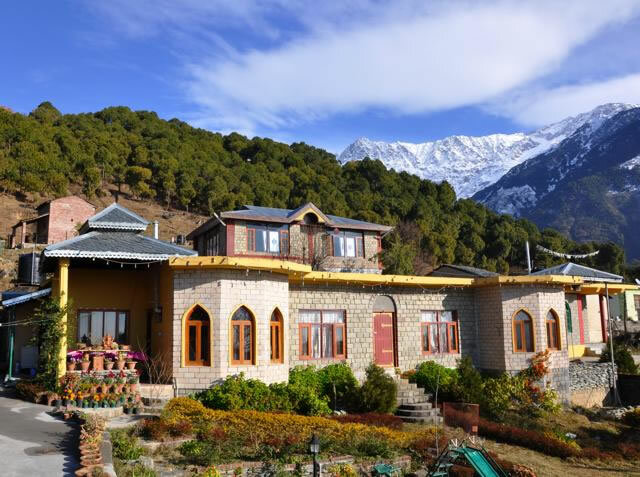 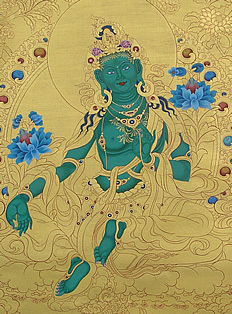 Its origins lie in Indian Buddhist art, but Nepalese, Chinese, and Kashmiri styles have also influenced its development. 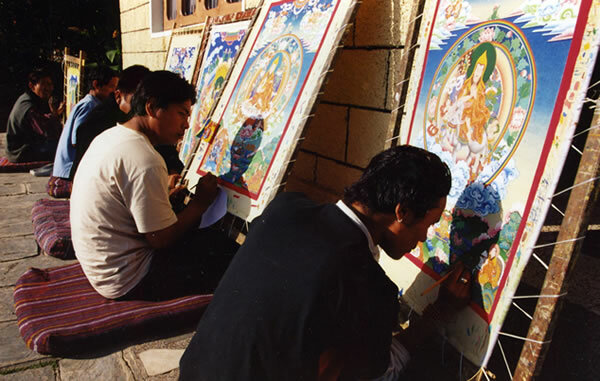 A Thangka is more than a work of art; it is an object of devotion, an aid to spiritual practice, and a source of blessings to those who meditate upon it. 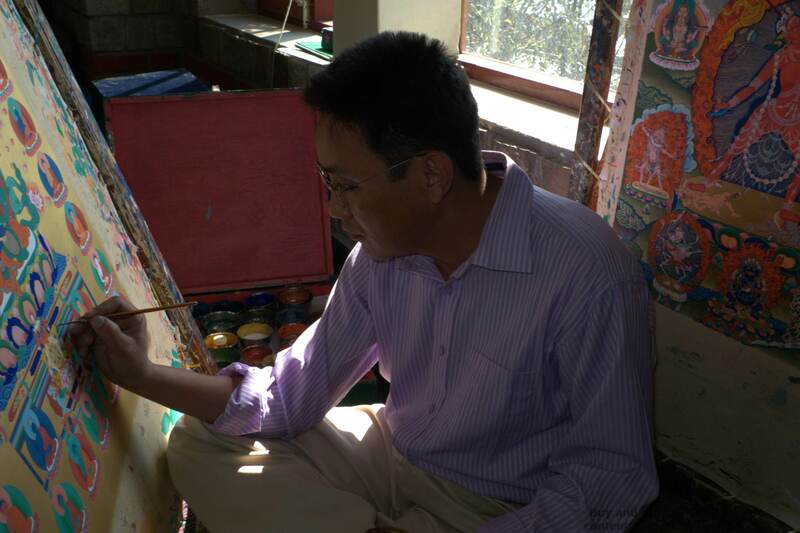 These incredible works of art are central to Himalayan culture; however, in the recent times they have fallen into danger of becoming extinct. 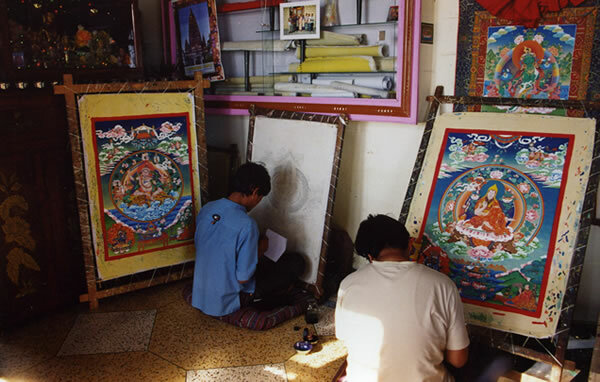 The Thangde Gatsal Art Studio and School is dedicated to keeping this beautiful and critical part of Buddhism’s rich history alive. 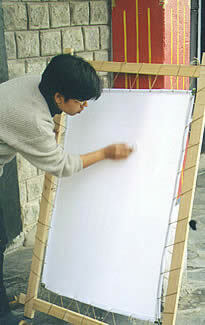 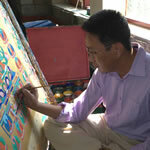 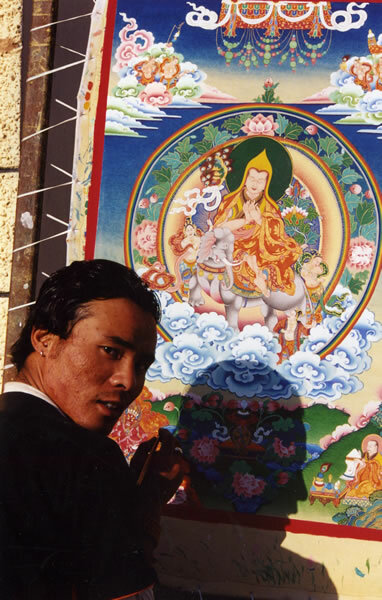 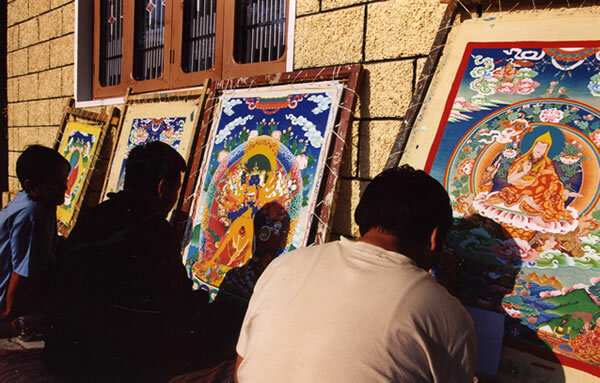 Learn more about traditional Thangka painting. 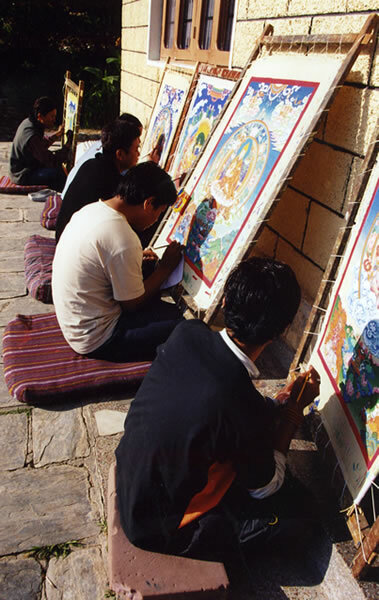 The mission of Thangde Gatsal Art Studio and School is to preserve and promote this endangered tradition ofThangka painting by producing quality Thangkas and training a new generation of artists in the tradition. 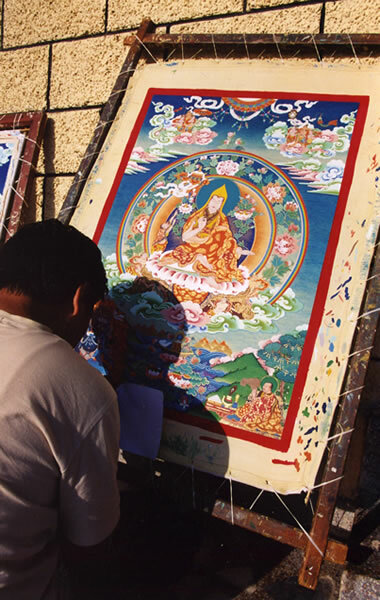 It also strives to bring greater awareness and understanding of this art form to people of all walks of life from all over the world. 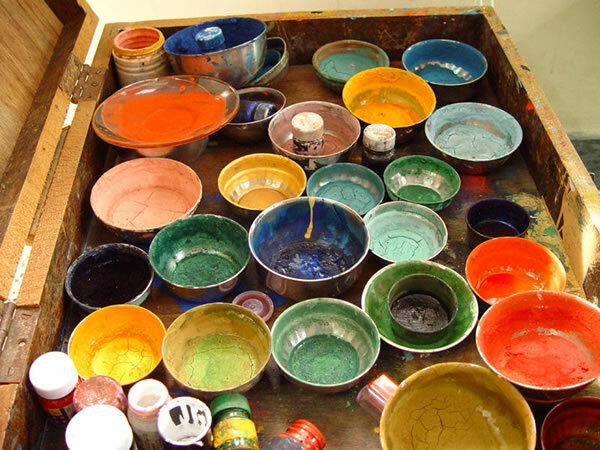 Read more about what we do. 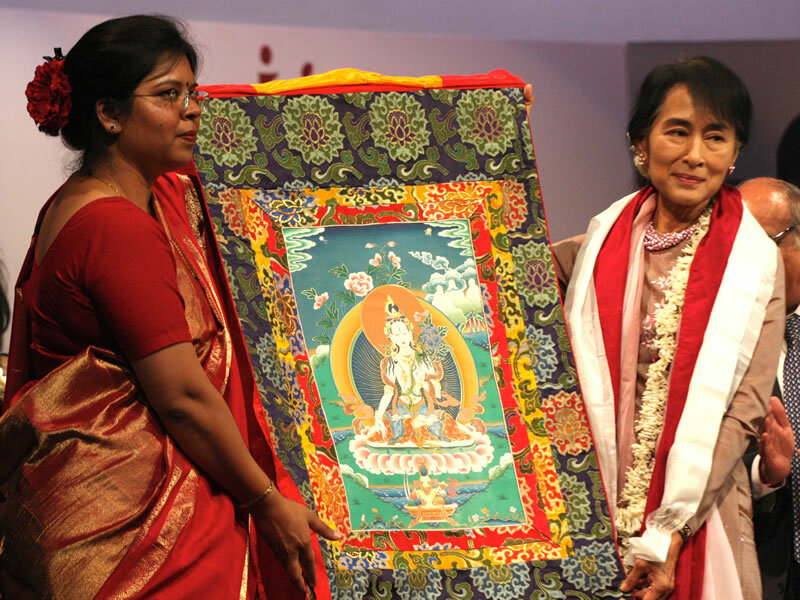 Sarika Singh, Director of Thagde Gatsal, had the honor of felicitating Daw Aung Sang Suu Kyi on November 16th, 2012 at Lady Shri Ram College, New Delhi.